An immediate denture is a denture that is made to be placed immediately in the mouth at the same appointment that the teeth are pulled.The dentist pulls the teeth and inserts the denture immediately over the extracted tooth area. +Should you see the denturist before or after seeing the dentist about getting teeth pulled? 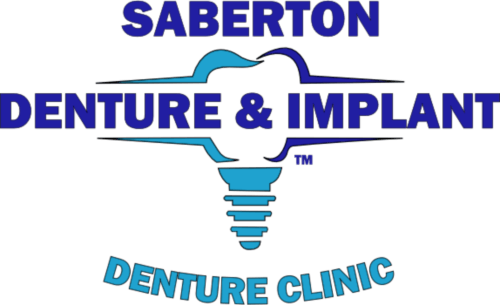 Saberton Denture & Implant advises all patients who are considering extractions to visit us for a free consultation prior to having any extractions performed. It’s best to understand the advantages and disadvantages of the various denture treatments that involve extractions before proceeding with dental surgery. +What are the denture options for when teeth are pulled? +What are the advantages and disadvantages of immediate dentures? Denture is inserted immediately after teeth are pulled, during the same appointment so no need to go without teeth. Denture acts like a band-aid over the extraction site, protecting the open wounds from getting infected. Because the teeth are in the mouth right up until the denture is inserted, there is no way to try-in the denture before completely finishing it. Thus, it's difficult for us to always have the denture turn out exactly how we'd like. Immediate dentures have an added $500 fee because of the extra work and care involved in making sure that the dentures fit when inserted over your extraction sites. This fee includes six months post-extraction care to ensure that the denture can be adjusted and fit to your liking. You will need to have the immediate denture relined 12 months after extractions at a cost of $200 ($150 if paid for prior to receiving your denture). 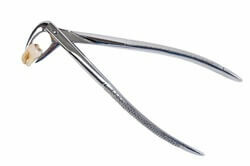 Once the teeth are taken out, your body begins the process of removing all the bone around where the teeth used to sit. This leads to the denture becoming loose after 12 months. +What are the advantages and disadvantages of having dentures made a couple weeks after teeth pulled? Because the denture is made after the teeth are pulled, we are able to try the denture in place before it is finished. This means that there are no surprises as to how the denture will look once it’s finished. By waiting until the teeth are pulled, the $500 immediate fee is avoided. This treatment involves going without teeth for 4-8 weeks as this time is used for us to make the denture. Because the final denture is still placed in the mouth before the mouth has completely healed (complete healing takes between 3-12 months), the denture will likely need to be relined after a year. Relines cost $200 ($150 if paid before receiving the denture). +What are the advantages and disadvantages of having dentures made 3-12 months after teeth pulled? The teeth have long been extracted, so there the denture may be tried in the mouth to ensure that the appearance is exactly how we’d like it. This treatment avoids the additional immediate or reline fees, as the mouth has completely healed from the extractions. 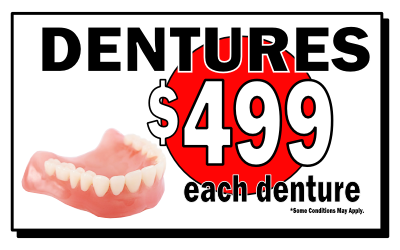 The only fee is for the denture (as low as $499). 3-12 months is a long time to go without teeth. Eating can be difficult during these months with no teeth. +How much do immediate dentures cost? 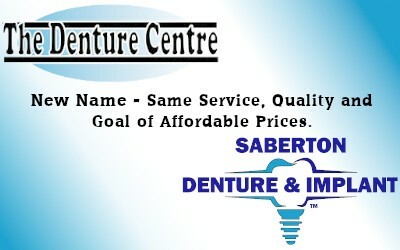 Saberton Denture & Implant's fee for creating immediate dentures is $500. 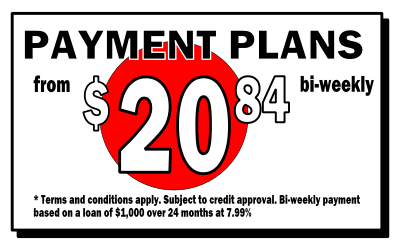 This fee is in addition to the price of the denture (as low as $499). The reason for the immediate fee is because of the extra work and care involved in making sure that immediate dentures fit when inserted over the extraction sites. What is included in the price of immediate dentures? The fee for immediate dentures includes six months post-extraction care, ensuring that each patient is able to adjust to their new smile and denture, and that the fit and appearance are to the patient’s liking. This care frequently includes various adjustments and a temporary denture liner that help ease the transition to dentures after surgery.